Open Book Publishers, 9781906924775, 264pp. "I had the good fortune to grow up in a wonderful area of Jerusalem, surrounded by a diverse range of people: Rabbi Meizel, the communist Sala Marcel, my widowed Aunt Hannah, and the intellectual Yaacovson. As far as I'm concerned, the opinion of such people is just as authoritative for making social and economic decisions as the opinion of an expert using a model." Part memoir, part crash-course in economic theory, this deeply engaging book by one of the world's foremost economists looks at economic ideas through a personal lens. 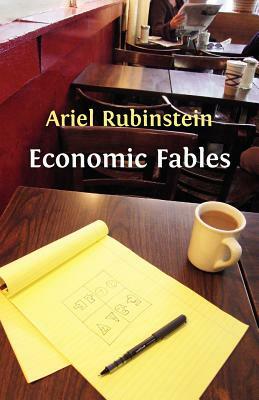 Together with an introduction to some of the central concepts in modern economic thought, Ariel Rubinstein offers some powerful and entertaining reflections on his childhood, family and career. In doing so, he challenges many of the central tenets of game theory, and sheds light on the role economics can play in society at large. Economic Fables is as thought-provoking for seasoned economists as it is enlightening for newcomers to the field.